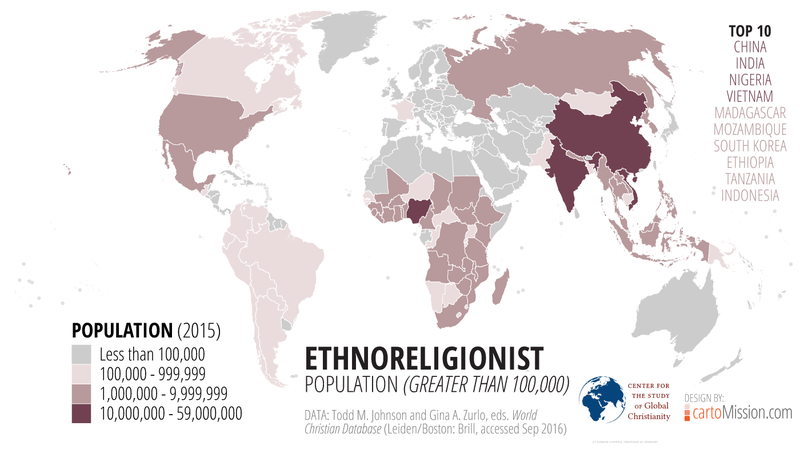 According to the World Christian Database, there are approximately 267 million ethnoreligionists in the world (2015), representing 3.6% of the global population. The ten largest populations are found in Asia and Africa. Ethnoreligionists include “animists, spirit-worshippers, shamanists, ancestor-venerators, polytheists, pantheists, and local or tribal folk-religionists” (The World’s Religions in Figures).